Love how clean that looks, top bombing! question for ya marco why do ya have a fuel filter on your pcv line? thanks, that's the result of boredom waiting for parts for my ZE last year. Stops the intake side of the engine getting oily. 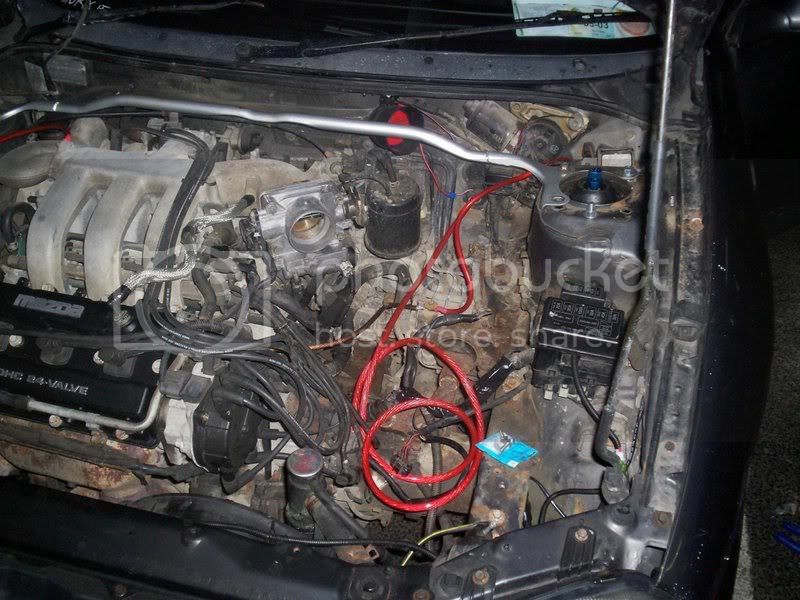 Marco, I have a spare IM and rocker cover here with the HT lead clips on. I can take them off and send you them if you want so you can dress your leads in like mine?? marco, where did u get ur rain/wind deflector thing, havnt seen them anywhere :? Thanks Jay. Got the slim visors off fowljesse on mx-3.com, they serve me well! A couple of days ago I recieved his last batch of visors. ;) Unfortunately he doesn't make them anymore. ^ after seeing yours I'm trying to think of a colour for my rad support! did send an email once to a canadian company who were doing carbon ones looked awsome! Im trying to think of some ideas for my bp, I thought doing it all black, or painting the block with aluminium paint to make it match the head, not decided yet. I would like to clean it up a bit maybe battery relocation, the intake sits too close to it makes it look messy, I want it to look 'full' but clean. I thought maybe make up some covers for the power steering/washer res, and the rad over flow, not sure how it would look though. some good work there james. like the way the leads etc match the collars on the CAI, and love the 4 branch manifold. Theres a guy on our site who makes mirror polished covers for things like the battery, fusebox and brake reservior but he also does mirror rad shrouds. 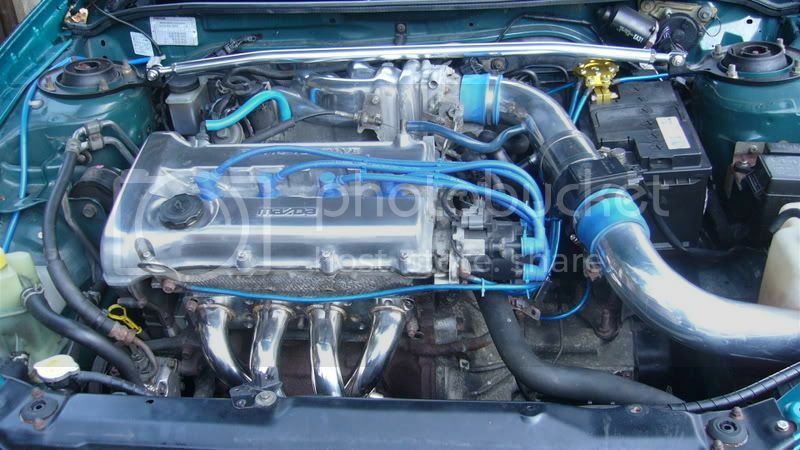 that intake looks like its made of candy! I'm loving the ht lead cover on the cam cover. great bloke to deal with. 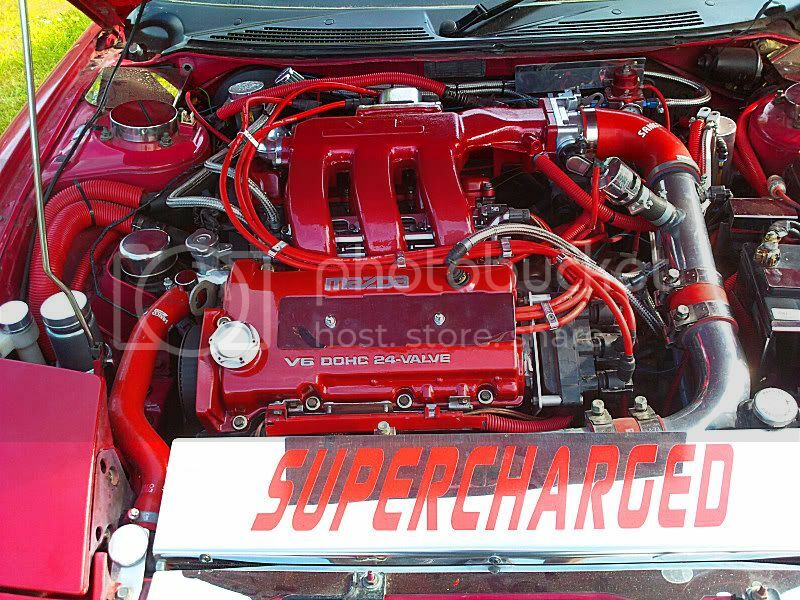 Japandi - Please post up a bigger single pic of your engine bay on its own. 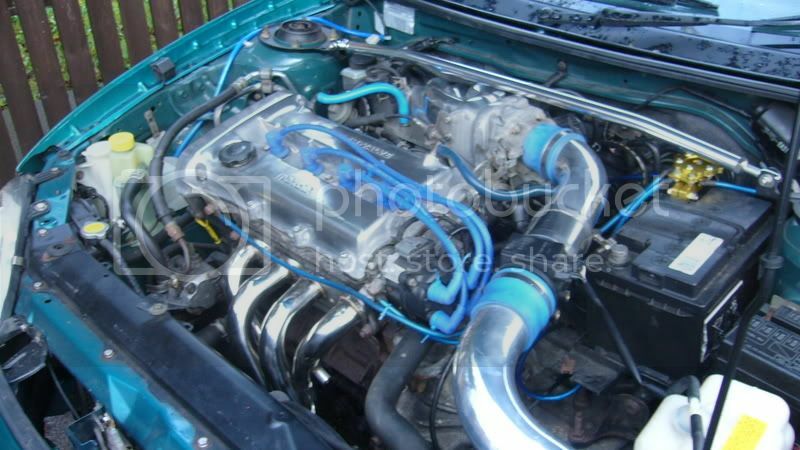 James - Where did you get exhaust header and CAI from? Prices? What gains did you get from your headers?